By the end of the day yesterday, all of the crews had finished their first week in the field, and with that comes our first round of updates! The Estes Crew started off the season by hitting the ground running. Staying mainly in the Wild Basin area of the park, they performed maintenance runs on trails including Lookout Mountain Trail (Meeker Park area), Sandbeach Lake trail, the many offshoots of Confusion Junction (Finch Lake Trailhead to Calypso Cascades) and finally the lower Longs Peak Trail to Eugenia Mine and the base of Estes Cone. 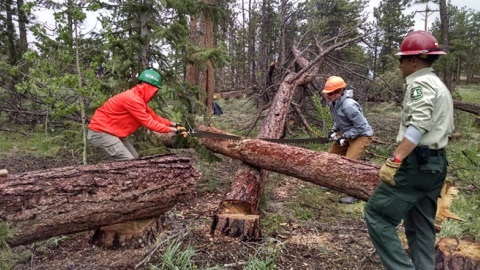 At weeks end, Estes Crew, consisting of Andrea, Bryce, Chandler, Derek, Jeremy and Miranda, accompanied by their two NPS leaders Dave and Matt, covered 29 miles of trails, as well as clearing 16 trees from the trail using crosscut saw. The Boulder Crew’s summer is off to a great start. After a long weekend spent hiking, climbing, and fishing in Rocky Mountain National Park, we packed up on Wednesday morning and made the rainy drive from Estes Park to Nederland, our home for the summer. After meeting our Forest Service supervisors Michael, Paul, and Cait, we moved into the Kelly Dahl campsite and assembled an epic network of tents, tarps, and a trailer to ensure that our stay in Ned is as comfortable as possible. 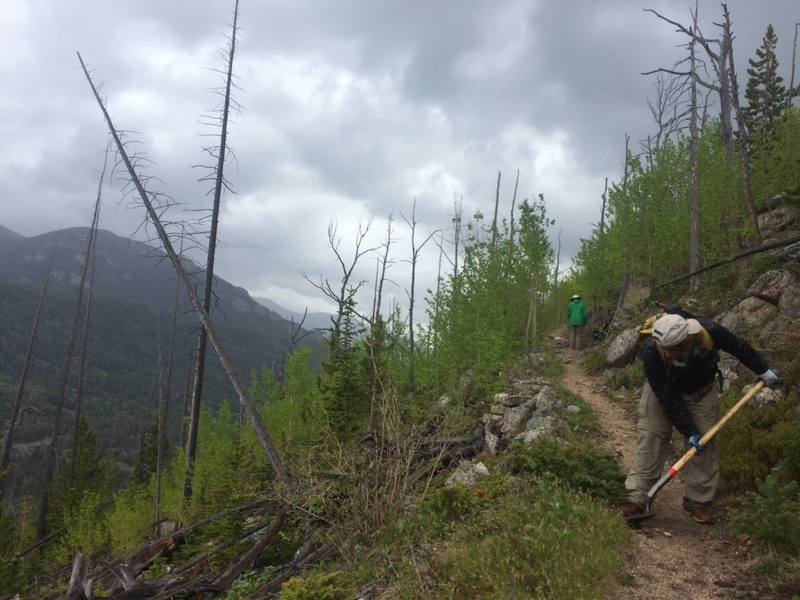 On Thursday, we had an introductory trailwork day on the Buchanan Pass Trail near the Peaceful Valley campground and practiced digging drains, dips, and removing dirt berms. 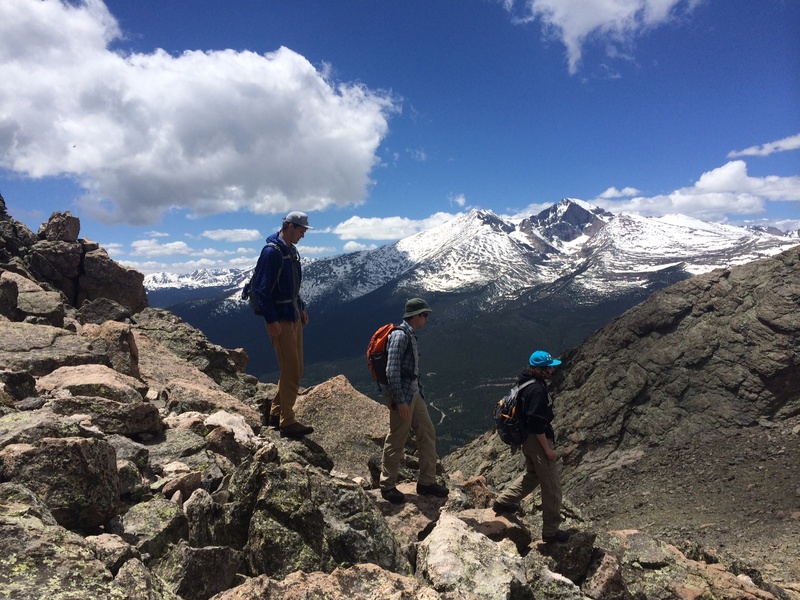 Friday was spent largely at the USFS Boulder Ranger District headquarters in Boulder, where we assembled tents and prepared for a training session with the Indian Peaks Wilderness Alliance, a volunteer organization dedicated to protecting the Indian Peaks Wilderness. After finishing up at headquarters we drove to the Forsyth Canyon Trailhead and spent the afternoon improving the trail down to Gross Reservoir. Finally, on Saturday, we returned to headquarters and received wilderness ranger training from the IPWA. We love it here in Ned, and cannot wait to start seriously hitting the trails next week! 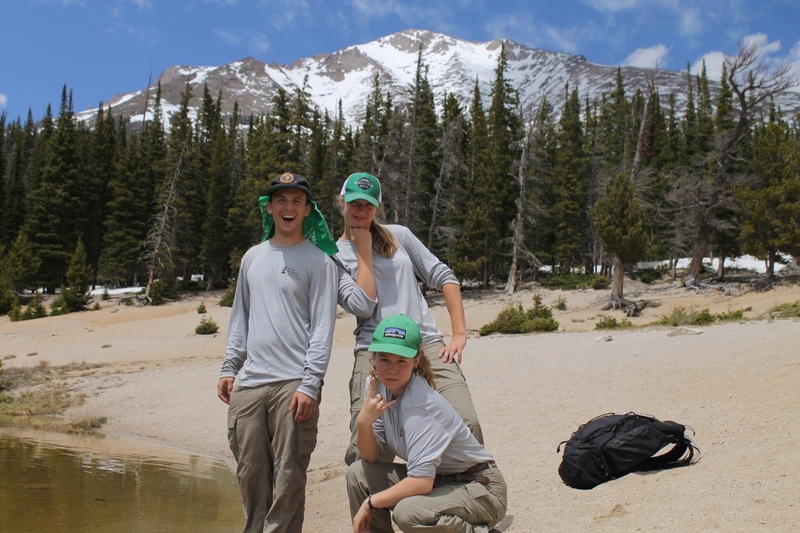 This week both Red Feather and Rawah crews trained with our Canyon Lakes Ranger District correspondent Fred Tighe. Both crews were lucky to get the opportunity to work together allowing everyone to learn and get to know each other even better than during our first week. 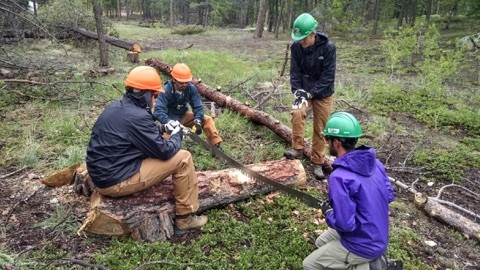 This week entailed learning about trail maintainance and also having everyone learn and receive a crosscut certification, passing with flying colors! 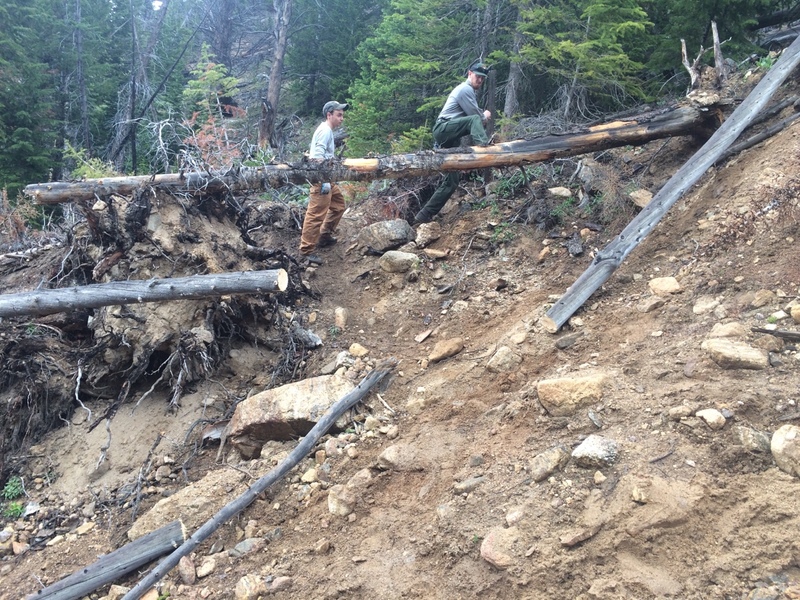 The one day we were able to go out on the trail we were worked on building check dams and drains in the Mt. Margret Trail. These are both very important features to be built into the trail due to the fact that it had seen much erosion because of a lot of run off and a lack of maintenance for several years. 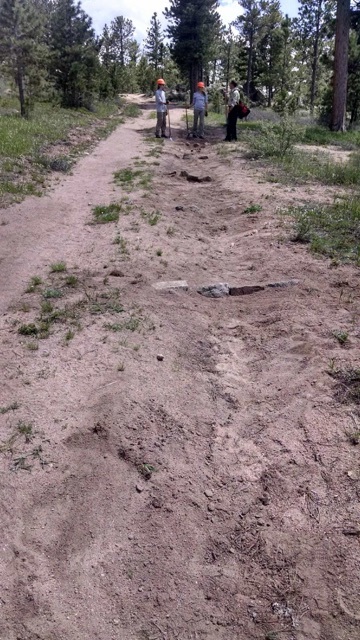 Between both crews we were able to install 22 rock checks and four additional drains in a mile span of trail. 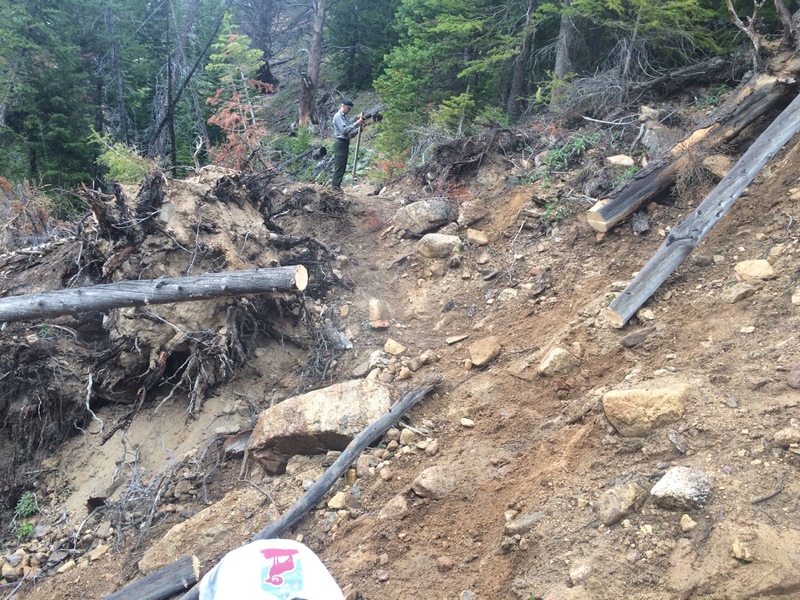 Also, in two days of crosscut training both crews collectively cut 36 fallen trees to practice clearing a trail corridor. Until next time this is Redwah crew have a great week! Stay tuned for Part Two with updates from the Shadow Mountain and Kawuneeche Crews on the westside.